The Grand Army of the Republic was an organization created by the Union Veterans of the Civil War. This museum is the only one in Michigan exclusively dedicated to the memory of the Union veterans of the Civil War and the fraternal organization they founded and participated in. It is located in the actual building the veterans used, which is just a block away from GAR Island Park where our Civil War veterans held their summer encampments, or reunions, for many years. You will find us downtown Eaton Rapids, next door to the Eaton Rapids Public Library. Abraham Lincoln will be here! See one of our exhibits here. ​Learn about our annual Civil War Discovery Camp here. 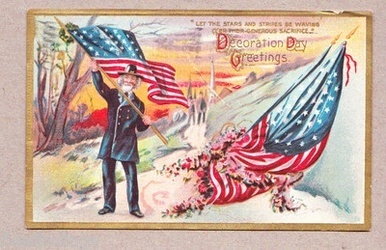 The Museum is open the first and second Wednesday of each month and patriotic holidays. Admission is free, but donations are always welcome! Check out the Museum calendar. AMAZON SMILE: When you shop at AmazonSmile, Amazon donates 0.5% of the purchase price of some items to Grand Army of the Republic Memorial Hall and Museum. Bookmark the link: http://smile.amazon.com/ch/46-3229085 and support us every time you shop. It doesn't cost you anything extra, but the Museum will receive a small donation from your purchase. 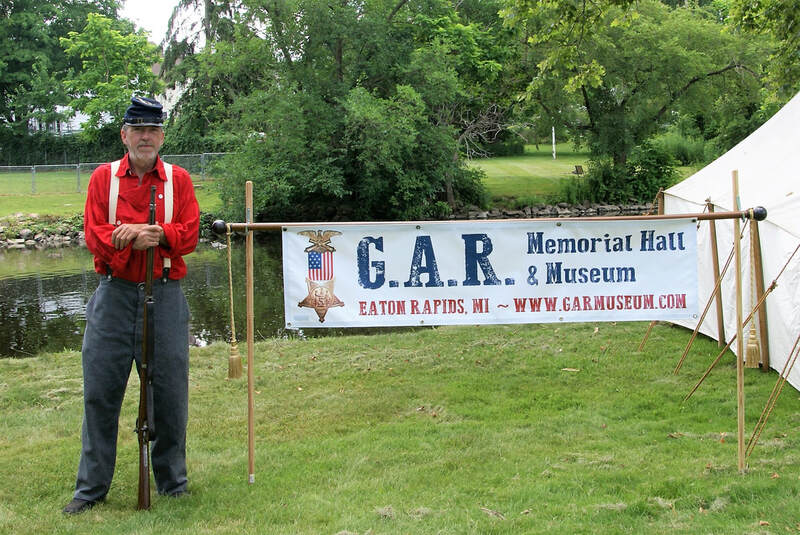 The GAR Memorial Hall and Museum is a federally recognized 501(c)3 tax exempt Michigan non-profit corporation. All donations to the GAR Memorial Hall and Museum are tax deductible to the full extent allowed by law.